21 DAY LOWER BODY BURNER CHALLENGE STARTS TODAY! MOVEMENT CHALLENGE STARTS NOVEMBER 1ST! This year we’re changing things up a bit. Gotta keep you people on your toes - literally! This challenge is all about that lower body burn. Winter sports will be here before we know it and there’s no better time to throw these strengthening exercises into the mix! All movements can be taken as slowly and with as many breaks as needed. The number of reps just has to be completed in a given day. If you’re a regular client of Wellness By Little’s, you have no excuse! All reps are to be completed in one go with quick rest 15 second rest periods… if you absolutely need them. Be sure to stay tuned into Wellness By Little for reminders & inspo plus share your success using hashtag #WBLlowerbodyburn! And please, please, please review proper technique below for each movement and consult your doctor prior to starting any new exercise program. 3 movements. 3 weeks. You can do this! I hope everyone had a solid summer of adventure, meaningful memories and too many late nights with the people in your life! BUT maybe your body is in need of some whipping into shape? @wellnessbylittle has got your back! Tag a friend who wants to join in for this 4 week series and receive a FREE class! Come sweat, full body bootcamp style, every Wednesday in September at 6am in the Greenlake neighborhood. We’ll also be implementing practical ways to prioritize your fitness as we enter into Fall and sample new seasonal recipes! Sign ups are now open. DM for further details! Starts on Wednesday 9/5 NEXT WEEK! 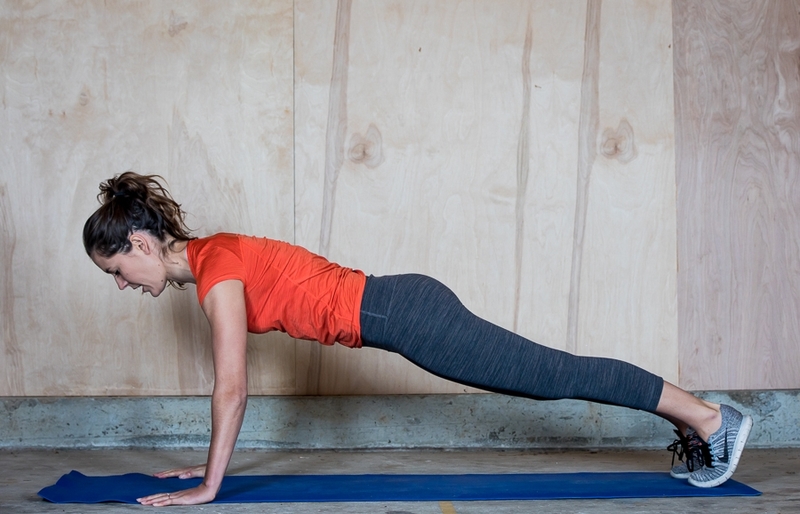 It’s almost time to plank our hearts out for 30 days. You ready? Tag a friend in the comments to have them join you! Challenge runs September 1st-30st. 30 days. 1 plank a day. Day 1 baseline plank - hold as long as you can and record time. Day 30 final baseline plank! The one rule is you have to complete the listed time every day - doesn’t matter how many sets it takes you to get there. STARTS OCT 1: Autumn #WBLdoesabootygood Squat Challenge! It's that time a year again. Summer is over and it's time to start sippin' our PSL's and binge watching Stranger Things but not without showing a little love to our booty's. Challenge start Oct 1 and ends on Halloween. We're throwing in some curveballs into this years challenge so prepare for more than just squats! This challenge is perfect for anyone wanting to building strength and stamina in their legs (shoutout to all the snow bunnies) and is suitable for all fitness levels. Each day there is a designated number of squats to be performed and you can do them all at once or break them into mini circuits throughout the day - do what works best for you. Show us those beautiful squats by tagging us @wellnessbylittle and sharing your progress with the community using #WBLdoesabootygood. MODIFICATIONS: If you have a lower back, knee, ankle or hip issue modify the squat hop with a regular squat, no hop. If you are healthy and good to go - no dogging it, hops for days! Reminders for Wall Sits: Lower down so hips are parallel to knees, tuck your tailbone so you're able to glue your low back to the wall. Weight in heels and BREATHE!!!!!! Those legs are going to want oxygen during these wall sits and the only way they'll get it is if you take deep inhales and exhales. Oct 1: 20 squat hops + hold a wall sit for as long as you can. Be sure to time yourself. This is your baseline number. We will repeat this at the end of October. Oct 31: Retest your wall sit time by holding as long as you can again. Share your success @wellnessbylittle! Congrats, you made it! Whoo hoo!